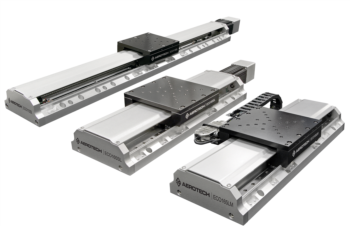 Aerotech manufactures a large selection of linear, rotary, and lift and Z-axis positioning stages that utilize our own brushless linear direct-drive servomotors, as well as ball-screw models driven with Aerotech brush or brushless rotary motors. Travels for our linear tables range from 25 mm to 1.5 meters. Aerotech''s positioning stages are utilized in high-performance applications in industrial robots, fiberoptics and photonics, vision systems, machine tools, assembly, semiconductor equipment, medical component laser machining, micromachining, electronic manufacturing, and other industrial automation applications. We even offer a complete line of nanopositioning stages that provide nanometer resolution, accuracy, repeatability, and in-position stability with travels from 25 mm to 160 mm. 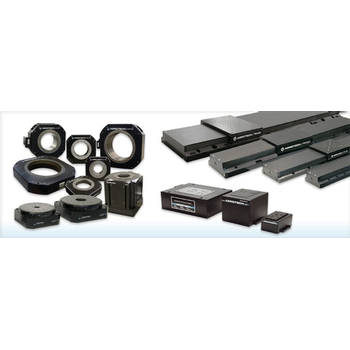 In addition, Aerotech manufactures drives and motion controllers that perfectly complement our positioning stages. ECO Series - Aerotech, Inc. The ECO linear stage series builds upon Aerotech’s long tradition of producing low total cost of ownership motion designs. Excellent positioning specifications, high stiffness, and a variety of options and features combined with economic pricing make ECO stages an ideal choice for applications where robust motion performance is needed. 44 models with travels from 50 mm to 800 mm. Direct-drive linear motor, rotary servomotor, or stepping motor .